At this point, your packet should be mostly filled out. You should have interviewed your family member AT LEAST ONCE and researched your historical event. Develop more ‘Google’ and ‘Grandma’ questions in your packet. In class today, a volunteer shared what s/he learned from her ‘Grandma’, then what s/he learned from ‘Google”– as the audience, we had to listen carefully and find holes in her story. What was confusing? What needs to be clarified? What is missing? Those new questions go to the ‘Google’ or ‘Grandma’ column. THEN RESEARCH! Identify a small moment in your story. Focus on that moment, not on the entire period or event. 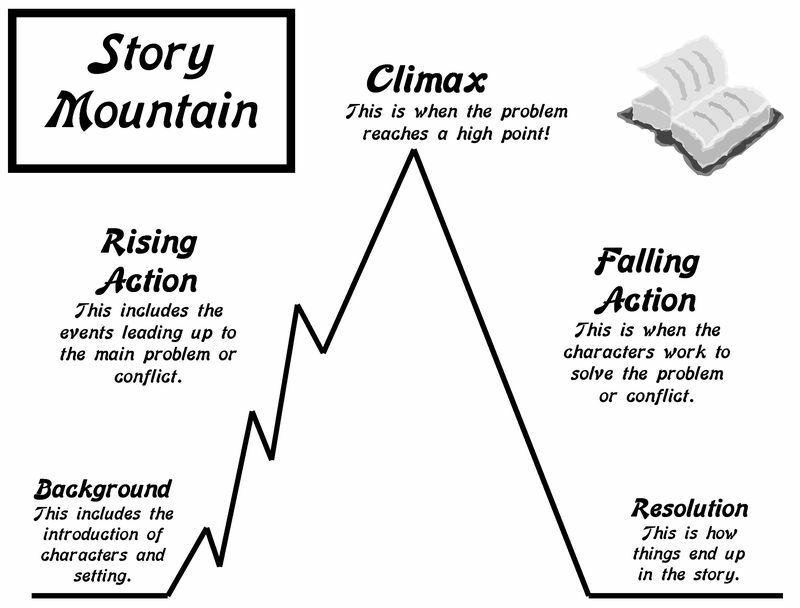 On the last page of your packet, at the BOTTOM of the page, create a story mountain with all of the elements of a story.